This year marks the 15th anniversary of FINAL FANTASY XI’s release. 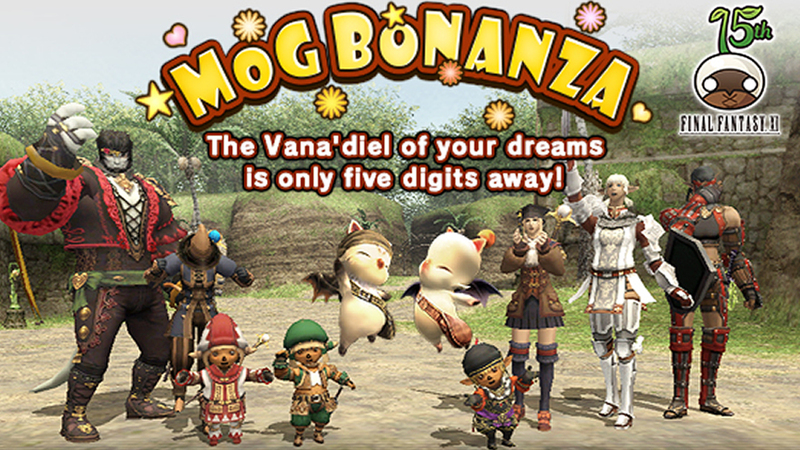 In celebration of this momentous occasion and in thanks for your steadfast support, we will be holding the 15th Vana’versary Mog Bonanza! In addition to the usual slew of wonderful prizes, the luckiest of the lucky will receive the Onion Sword II cosmetic item! Take this opportunity to participate for a chance to win one of the many exciting goods in store! Check out all the prizes over on the PlayOnline site here.